6. Monroe, Harriet. Introduction to The New Poetry. New York: Macmillian, 1917. 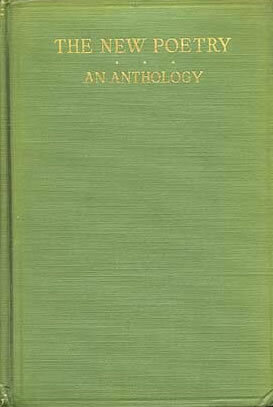 Monroe’s widely-influential anthology went through many editions, but all through 1936 include her survey of the influences behind the ‘new’ poetry, in which she notes the ‘airs from Japan’ that ‘blew in—a few translations of hokku and other forms—which showed the stark simplicity and crystal clarity of the art among Japanese poets’. Likewise, all editions through 1936, in an attempt to present ‘the best work of twentieth-century poets of the English-speaking nations’, include a selection of poems by Yone Noguchi (see D15).